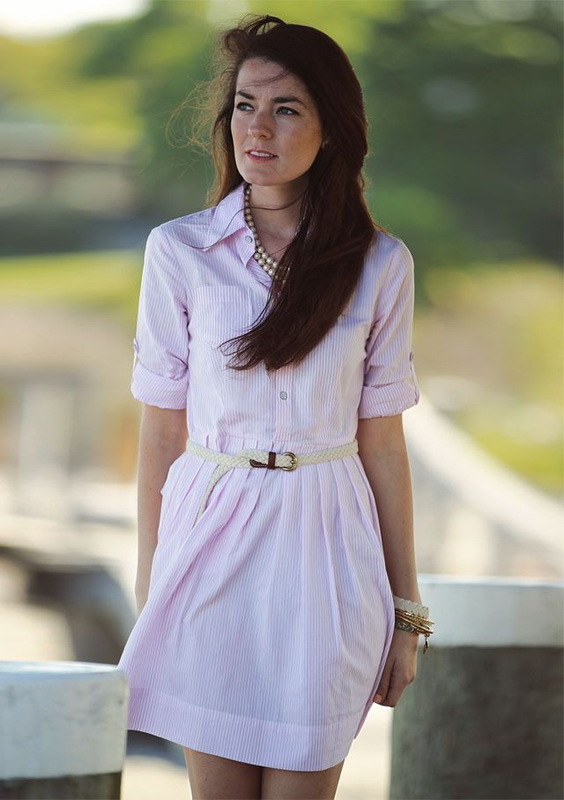 If there is one dress that is our all time favorite, then it’s a shirtdress. It works for every style type and it’s a versatile part of any wardrobe. It is an ideal choice for wearing on a casual basis, as well as to formal events. All you need is to be clever with your styling. I mean, there are lots of interesting designs to choose from, including oversized or smartly tailored versions that can be paired with various footwear designs, like mules, sandals, sneakers, gladiators, etc. A perfect shirtdress can take you anywhere you want, from work to parties. 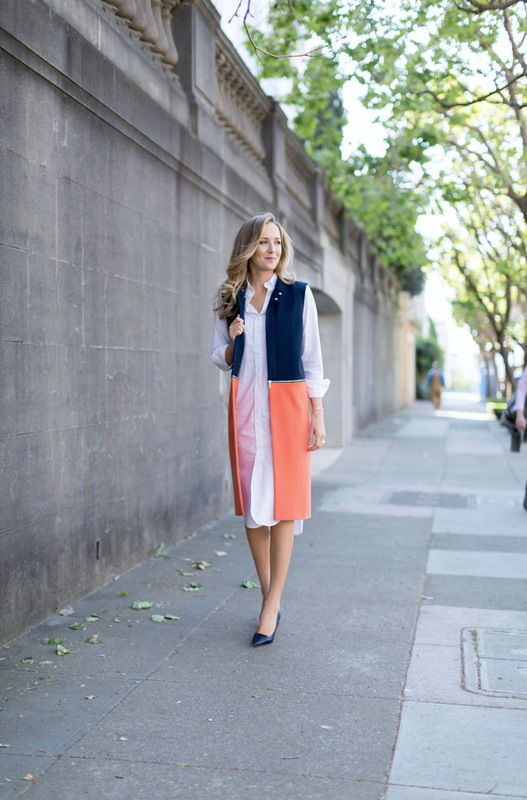 In this street style collection I gathered awesome ways to style a shirtdress, read on to see my favorite examples. Keep it simple and minimalistic. Go for white shirt-dress and style it with a blush spacious handbag and studded pointed-toe flat pumps.